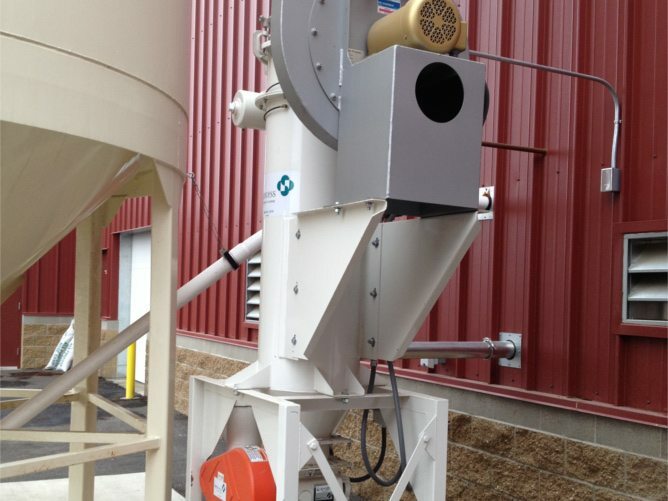 Our grain handling systems minimize dust, improve yields, and often pay for themselves in under a year (via grain savings alone). And with in-house engineering, fabrication, integration, and service, we boast some of the highest quality and lowest cost of ownership. 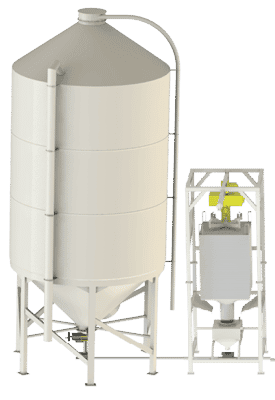 Our silos are made-to-order with custom shapes, colors, and features. 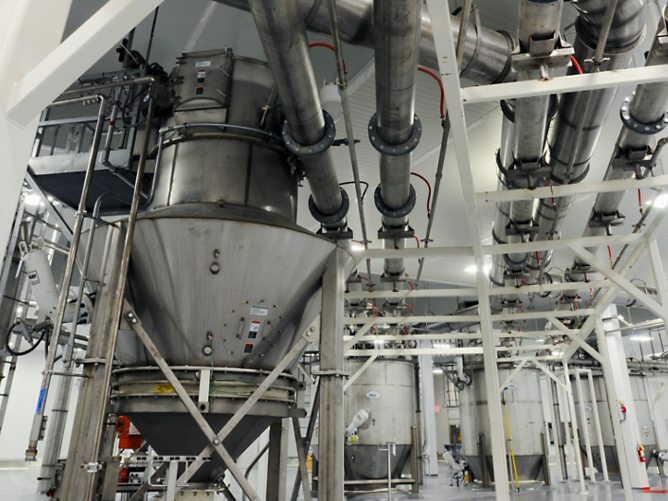 Also known as malt bins, silos store large quantities of malt, allowing bulk purchases and fewer loading instances. Our specialty BBUs are the best in the industry. They facilitate the most efficient use of supersacks and come in low-profile, hoist & trolley, stainless steel, and other options. 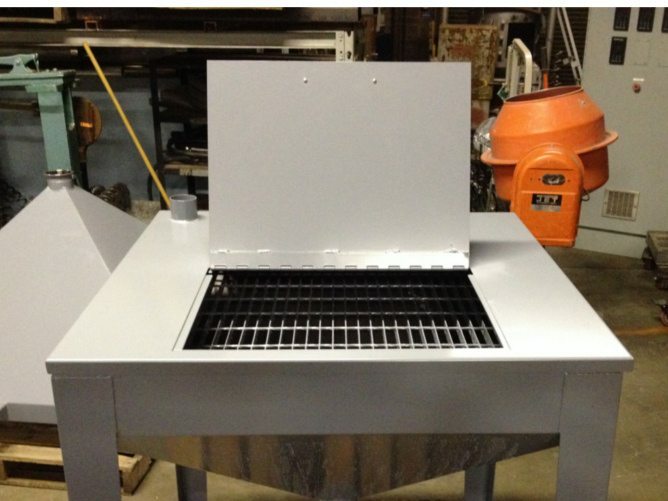 We make all varieties of hoppers with custom features, shapes, and colors. 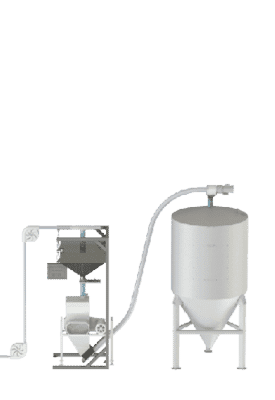 Used for specialty brews and small breweries, specialty hoppers allow smaller portions of malt to be staged before grinding. An auger is a tube with a corkscrew-like shaft snaked through it. A motor rotates the shaft, progressing the grain. 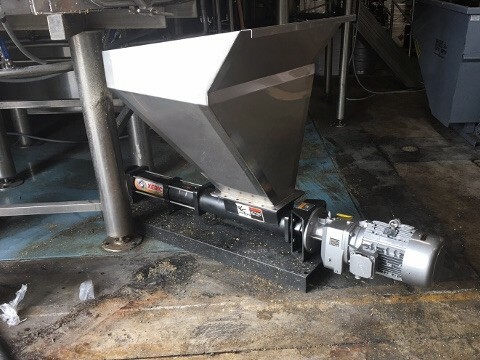 Flex augers use PVC tubing and a flexible shaft allowing angled sections. They are the cheaper conveying method but are hard on product and not modular. 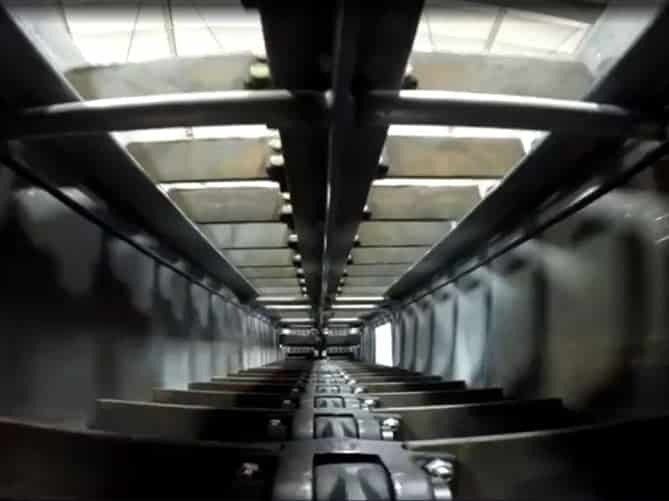 By pulling segmented disks through a tube, chain disk conveyors can transfer grain in special conditions like about consecutive tight corners. They can move grain more quickly than augers and are gentler on grain, improving yield. 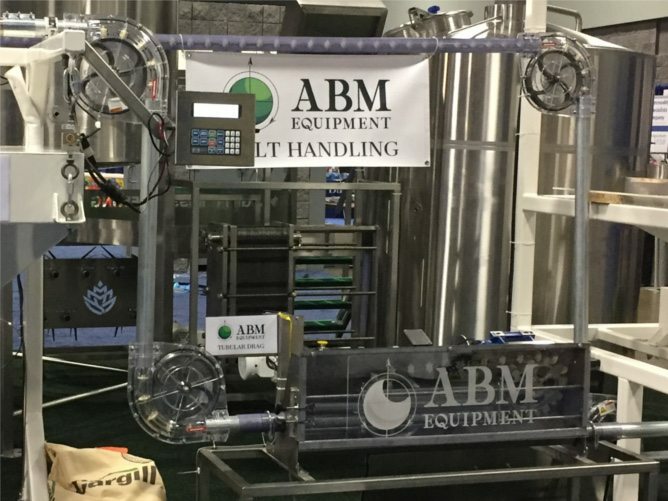 Using compressed air, pneumatic conveyors are for larger breweries. They can move grain upwards of 4000 feet per minute but are expensive and very hard on product, especially malt. 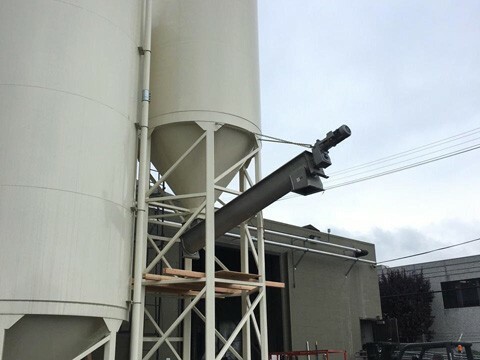 For this reason they’re typically used silo-mill. 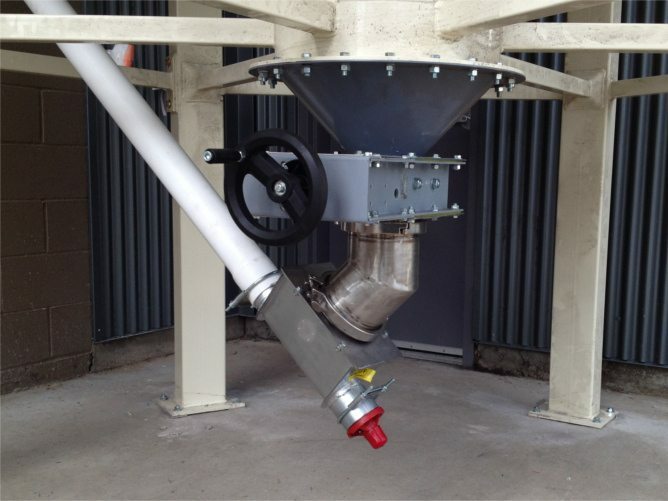 The standard element for feeding grain from silos to augers, quality discharge gates prevent waste and reduce dust. 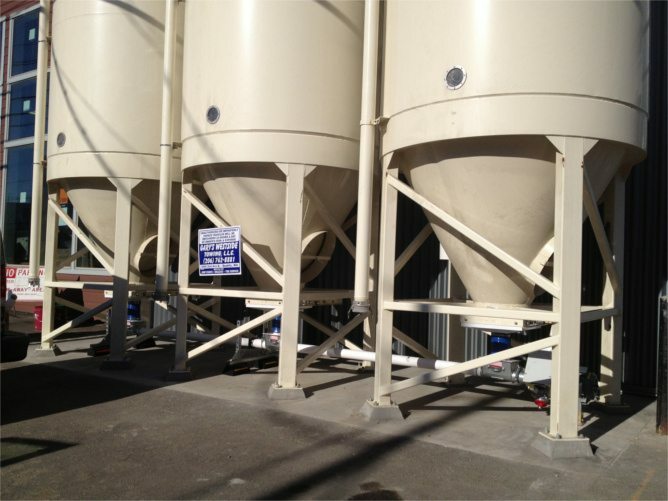 Since most breweries have an issue with pests around silos, we’ve developed a custom solution that eliminates leakage. 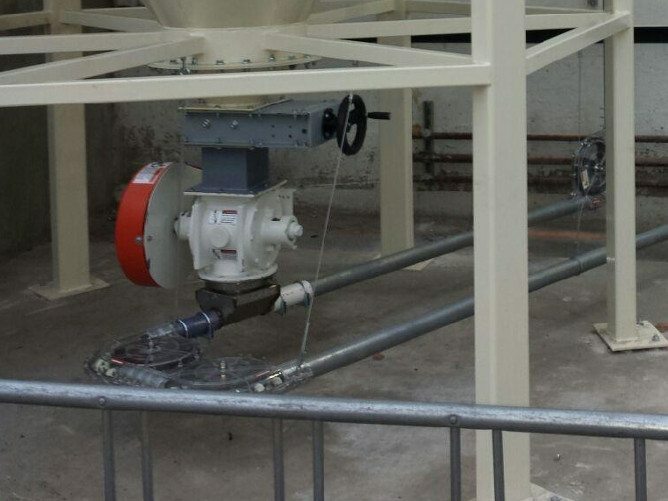 Operating essentially like a contained water wheel, rotary feeders allow pressure differentials while controlling the flow of malt from bins to conveyance systems like chain disks and pneumatic conveyors. 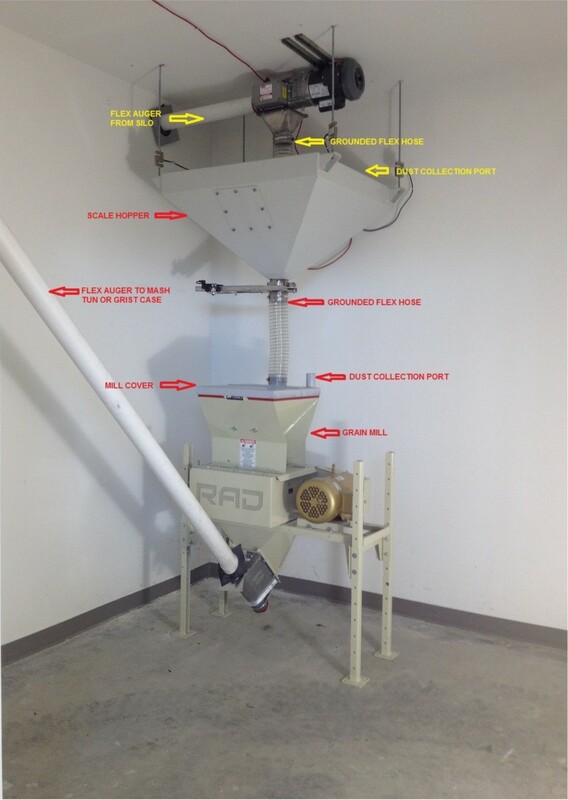 Chain conveyors are the fastest, gentlest method of conveying grain but take up a lot of space. For this reason they’re used to maximize yield from grist to mash as quickly as possible. 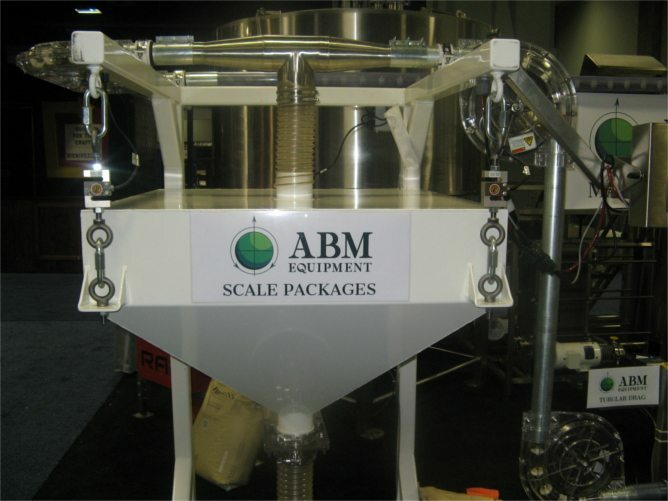 Our sister company, A-1 Scale, designs and calibrates all of our systems. 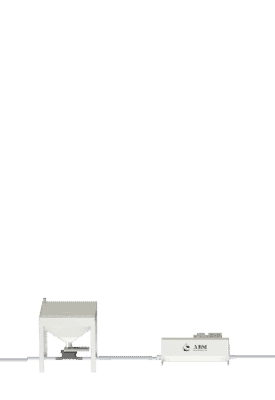 The most common method used for automated portioning is a scale hopper, but different applications can call for different solutions. 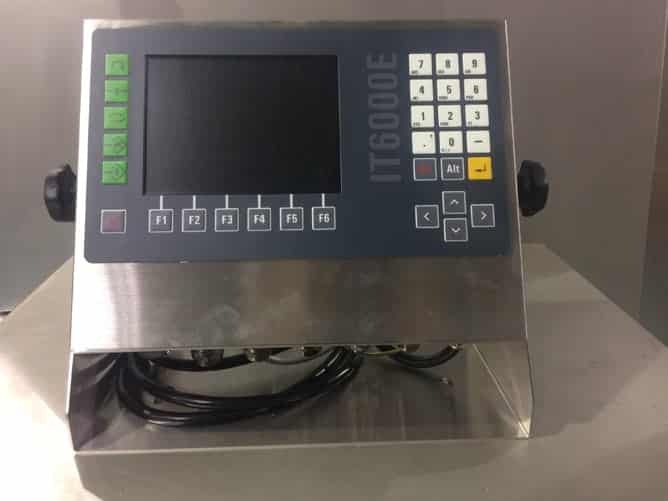 Process controls allow automation of various process functions. These controls can be as complex as needed and can dynamically auto-correct different stages of processes. Our standard solution comes with multiple inputs and pre-programmed recipes. 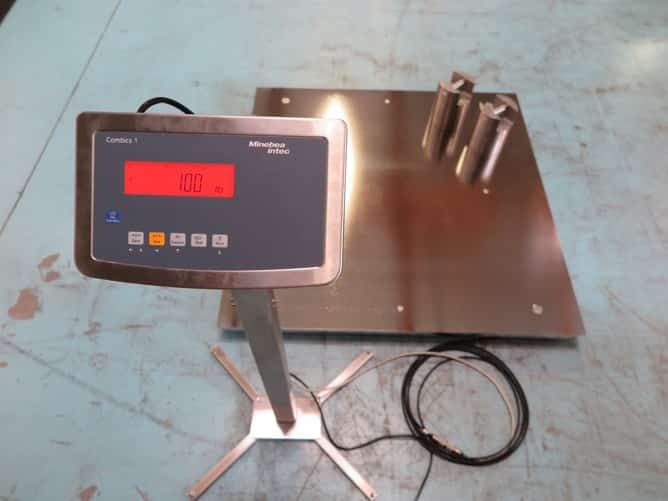 Simple floor scales are used for special batches, smaller quantities of ingredients added manually, and for small breweries. 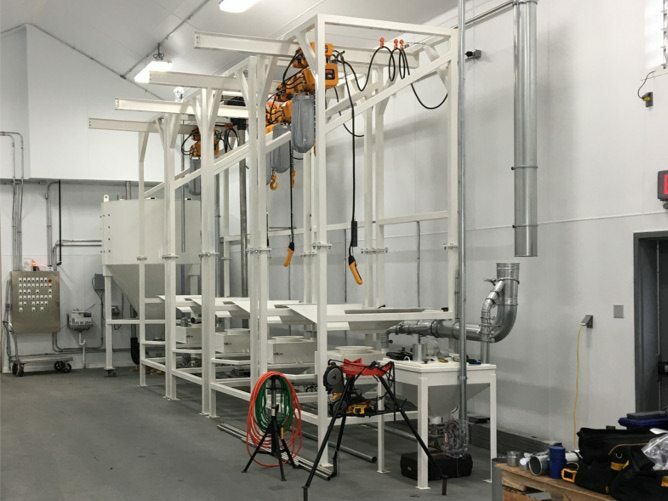 The more finely malt is milled the greater the extract production but the more likely you will run into problems during wart separation and degradation during conveying. 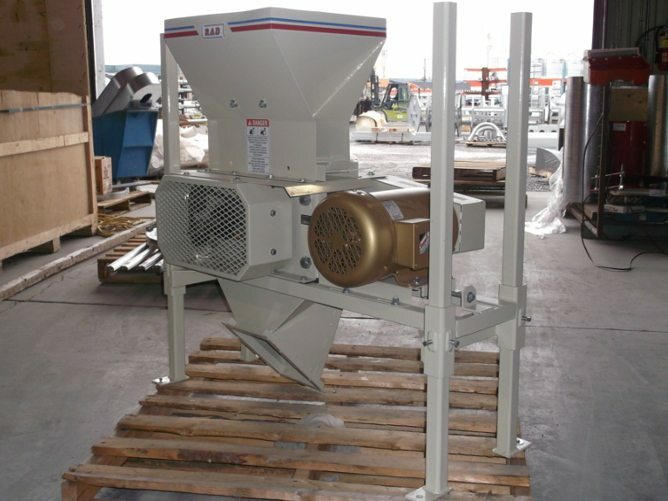 We carry up to quad-roller mills which grind up to 8,000 lbs./hr. 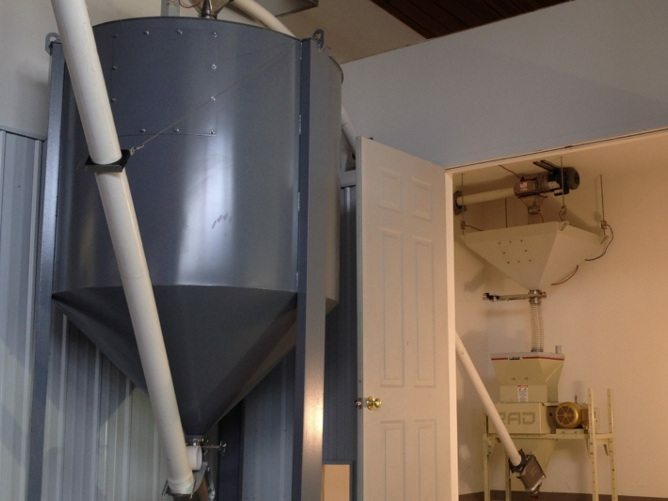 Grist cases are mini silos which relax mill schedules by staging grain after grinding and before mashing. This steel vessel is particularly crucial when a brewhouse shares a floor with the mill room. We make them to order with custom shapes, colors, and features. Small, contained mill rooms can get by with frequent cleaning, but excessive airborne debris is hard on the lungs and creates cleanliness and safety issues, particularly when wet. 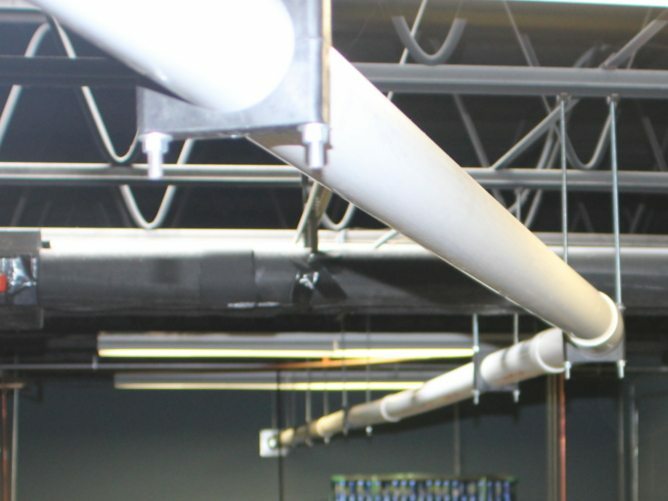 Our solutions reduce hazards and always satisfy the latest NFPA regulations. Spent grain is heavy and rich in bacteria, as it was soaked but never reached boiling temperature. Pumps are expensive but significantly improve the brewing experience. They keep the workspace clean, save backs, reduce labor, and mitigiate liability. Because of inevitable gaps in product flow caused by rake speed or forgetfulness, we only recommend XERIC pumps. 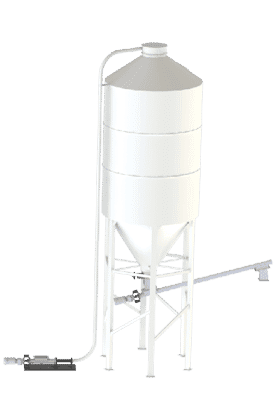 Any type of steel silo is acceptable for storing spent grain; the important things are capacity and cone slope (typically 60°). Ideally they will be raised enough that trucks can get under them and will store 2 days’-worth of grain in case pick-ups are missed or there are unexpected increases in production. 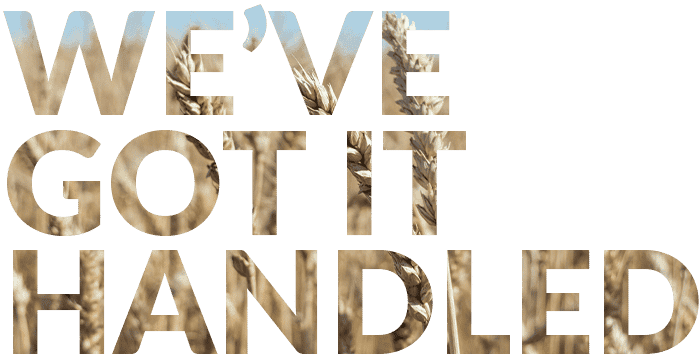 Good grain handling systems minimize dust, improve yields, and often pay for themselves in under a year (via grain savings alone). With in-house engineering, fabrication, integration, and service, we boast some of the highest quality systems and lowest cost of ownership.